Hello everyone! I hope you are having a good day! 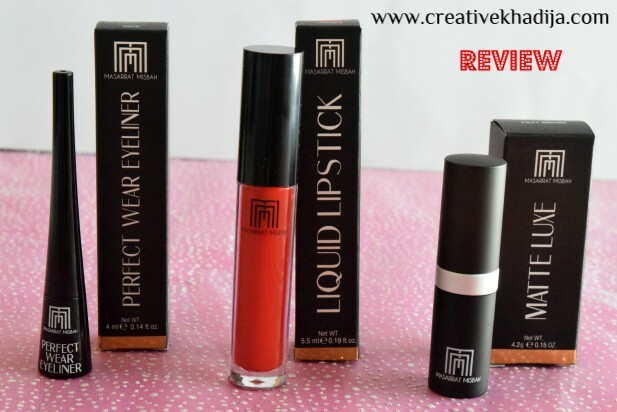 Today I am going to share a review of some recently launched makeup products by Masarrat Misbah. There is no introduction to MMM needed though, but I would like to share few words for my international readers who might read about this brand for the very first time. 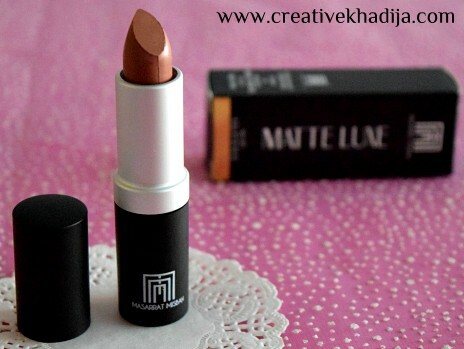 “In 2014, MM Makeup was formed by esteemed makeup artist Masarrat Misbah as a solution to the lack of high quality, affordable, and locally accessible makeup in Pakistan. 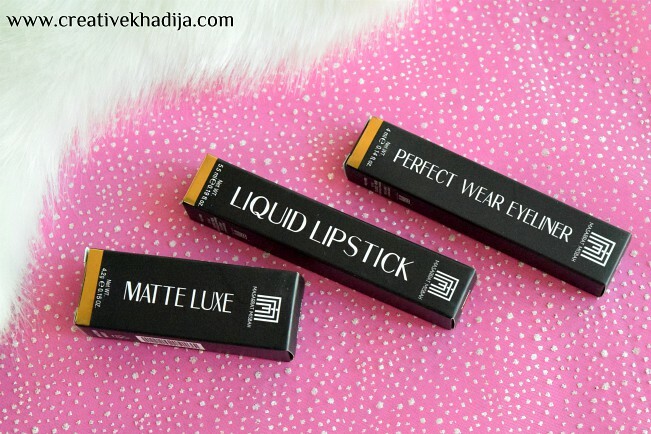 MM is the first and only halal makeup line in Pakistan that does not use any non-permissible animal substances or harmful chemicals.” Masarrat Misbah Makeup recently launched new Liquid Lipstick shades in their collection which I am going to Review & Swatch Today! I receive this cute goodie basket from MMM and Walnut PR. It was carefully packed in a beautiful basket. When I open it, I really like the way it was neatly packed. There are three MMM products I have received for the review. This eyeliner is in black color and the shade called Noir. I really like it’s tip. There are two shades available on the store. Noir perfect wear eyeliner doesn’t have a brush tip applicator. 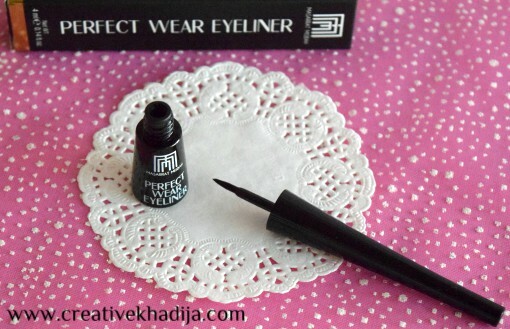 It’s thick and sharp tip makes the eyeliner application a lot easier than other eyeliners. Because of the long thin handle, application of eyeliner is easier. Noir eyeliner stays 5 to 6 hours perfectly on the eyes. It’s dark black color looks perfect on the eyes. I really like this unique product by MM. Price of Perfect Wear Eyeliner is 790 PKR. Matte Luxe lipstick is incredibly nice. I don’t usually wear matte lipsticks because of my dry lips but I was surprised to use this pure pigmented matte lipstick. It offers long-lasting wear with Shea butter and Vitamin E.
This shade is Foxy Brown. 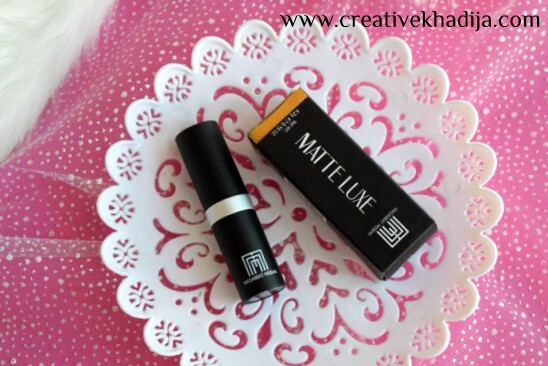 Price of the Matte Luxe lipstick is 1,150 PKR. 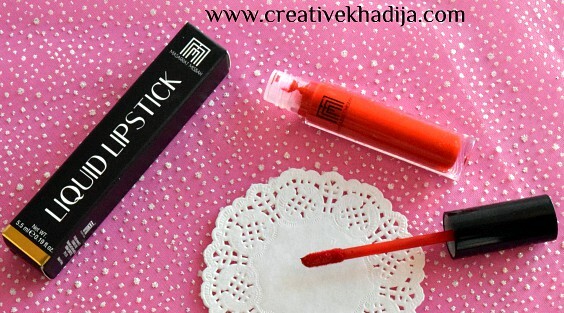 You can select any of your favorite lipstick shade from their range of 14 matte shades. It last for long and looks really nice on the lips even they are dry like mine! I am a hoarder of liquid lipsticks and I am really glad to get this amazing liquid lipstick in my collection of lip colors now. 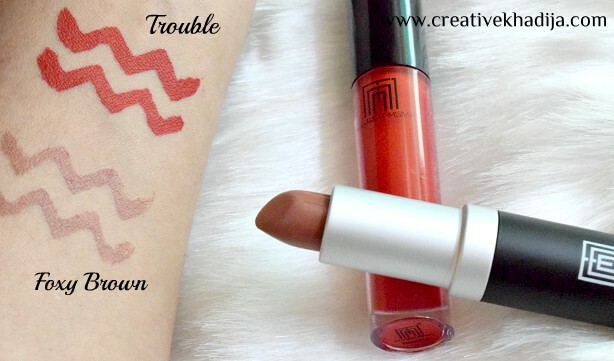 This MM liquid lipstick is in shade Trouble. Bold Red color which dry really quick and last long for many hours. In fact it was not easy to remove the lip color from my lips after few hours even with micellar water. Isn’t it amazing? 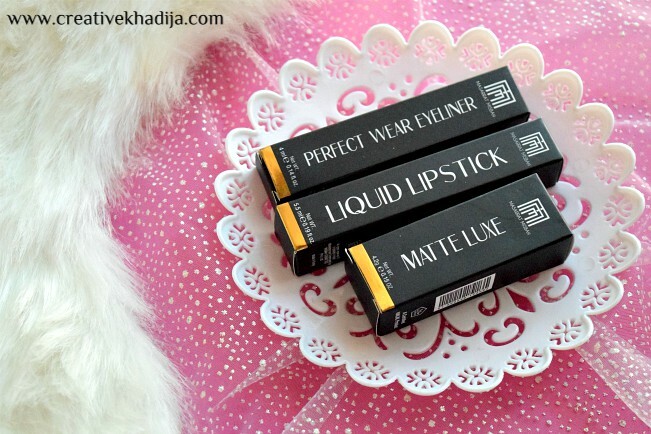 Price of the MM liquid lipstick is 1,250 PKR. 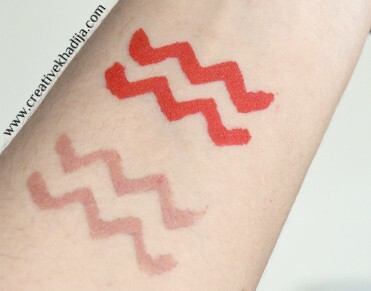 Here are the swatches of both lipstick colors. I hope you will find my review useful. 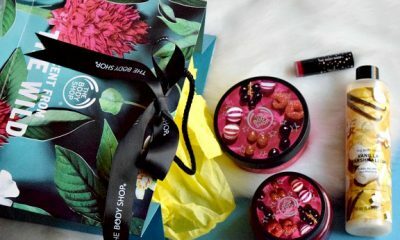 As majority of my readership is female, so I am sure they will enjoy the review and swatches. 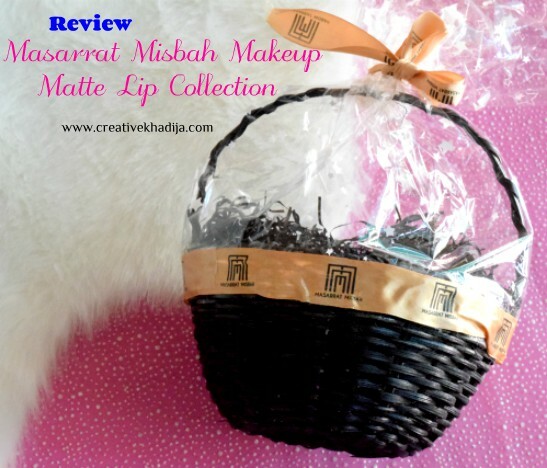 You can buy Masarrat Misbah Makeup products online from their store HERE. 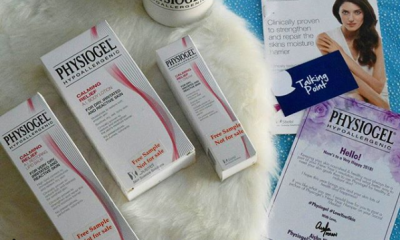 I will rate the products 5/5 as they are flawless and absolutely user friendly. 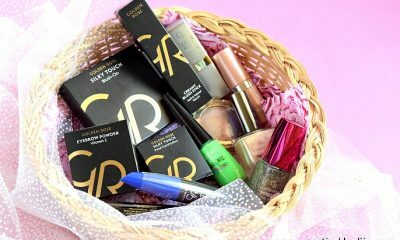 You will buy these high quality halal cosmetics again after trying once. Feel free to give your feedback if you have any question, suggestion or opinion about the product. Stay tuned for more ideas, reviews and updates! 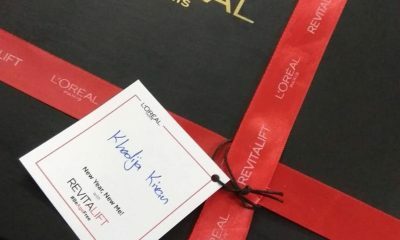 Thanks Sadaf for appreciating the review and swatches. I hope you will enjoy the quality of the product.